The Whitstable Oyster Fishery Company traces its roots back to 1793, when it was set up by an Act of Parliament, but oysters have been a part of Whitstable’s history for far longer. We are very happy to have Whitstable oysters as one of our Official Oyster Suppliers of London Oyster Week. James Green, Whitstable Oyster Co. 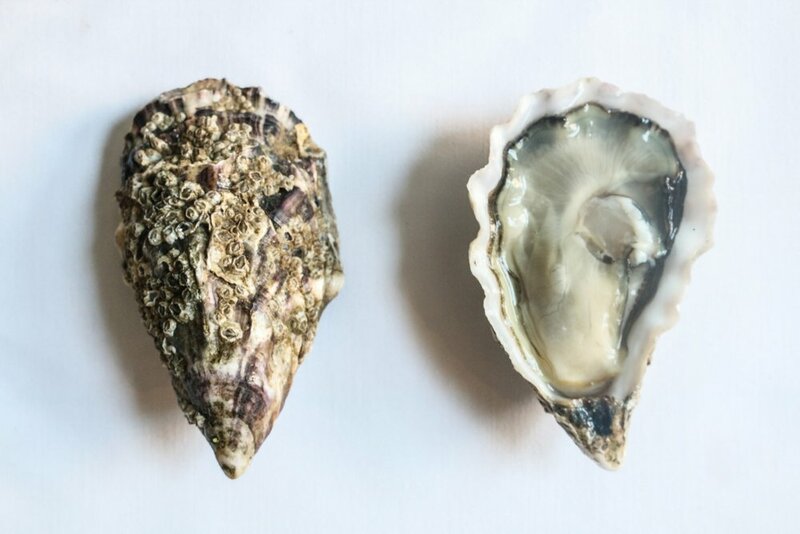 Grown on beds with Protected Geographical Indicator (PGI) status, Whitstable oysters are unique for both their provenance and quality. The farm produces Pacific rock oysters, grown directly offshore and harvested to order. They also receive and sell wild native oysters from a few local fisherman whose work and expertise keeps the traditions of the Whitstable Native Oyster alive. James Green employs a hands-on approach to oyster farming. As well as maintaining the heritage of the famous PGI Whitstable oysters, he also strives for sustainable development of the company, trialling new technologies and developing the brand on all fronts. James, and his brother, now successfully own a hotel, brewery, several eateries and run frequent oyster tours that all celebrate the Whitstable oysters. The unique taste of the Whitstable Oyster comes from the delicate balance of ebbing tides where the North Sea meets the Channel. Our native and rock oysters are celebrated with Protected Geographical Indication (PGI) status for their provenance and quality.